An iconic new addition to the increasingly breathtaking landscape of Downtown Dubai, Richard Hudson’s ‘Love Me’ is a public art commission with a lot of heart. A heart-shaped, polished steel sculpture aptly unveiled on Valentine’s Day, ‘Love Me’ playfully reflects the city’s most beloved landmarks, Burj Khalifa and The Dubai Mall. Richard Hudson is a prolific British artist based in Madrid. He is the creator of iconic polished steel and bronze sculptures inspired by nature and fluid, sumptuous human forms. 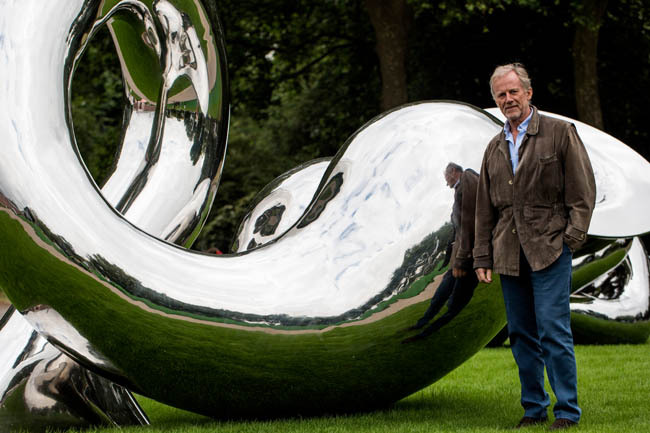 Hudson’s works have been exhibited in Europe, UK, USA, Asia and South America, while private art collectors like Sir Elton John, Michael Douglas & Catherine Zeta-Jones and Claudia Schiffer have all sought his sculptures. ‘Love Me’ marks Hudson’s first commissioned public artwork in the region.